What do you do if you are concerned about food additives in prepared foods, but you don’t have a ton of time to spend making things from scratch? 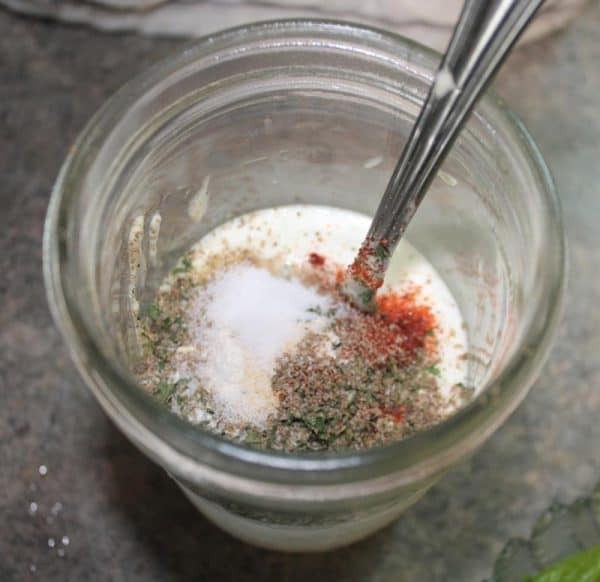 Making your own salad dressing is actually one of the easiest ways to eliminate artificial ingredients from your diet. It takes less than 10 minutes to whip up a batch of ranch salad dressing, regardless of whether you’re making it for two people or 20. To avoid even more artificial ingredients, you can use your own homemade yogurt or buttermilk, as well as your own homemade mayonnaise. 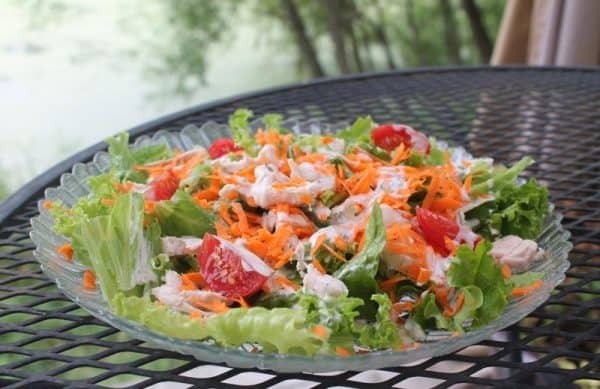 This recipe can easily be doubled, tripled, or even quadrupled, if you have a large family or eat a lot of salad. Keep in mind that it will only last about as long as the yogurt or buttermilk will last, so don’t make more than you expect to eat in about a week. You can also halve the recipe if you don’t expect to use it up very quickly. The “8 salads” servings assumes about 2 tablespoons (1 ounce) of dressing per salad. 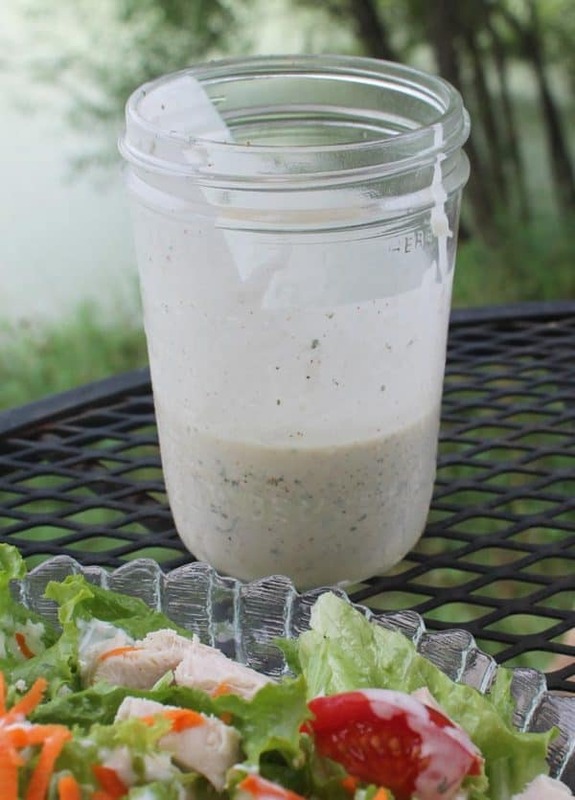 Maybe this is the “house salad dressing” at so many restaurants because it is so easy to make from scratch. When I’m eating my homegrown salad in the middle of summer, it just feels right to top it with homemade dressing. To avoid washing additional dishes, I use a wide-mouthed, pint canning jar to measure and mix up the ingredients. First fill the jar to the 4 ounce mark with mayonnaise. Add yogurt to the 8 ounce mark. Stir together with a fork until well blended. 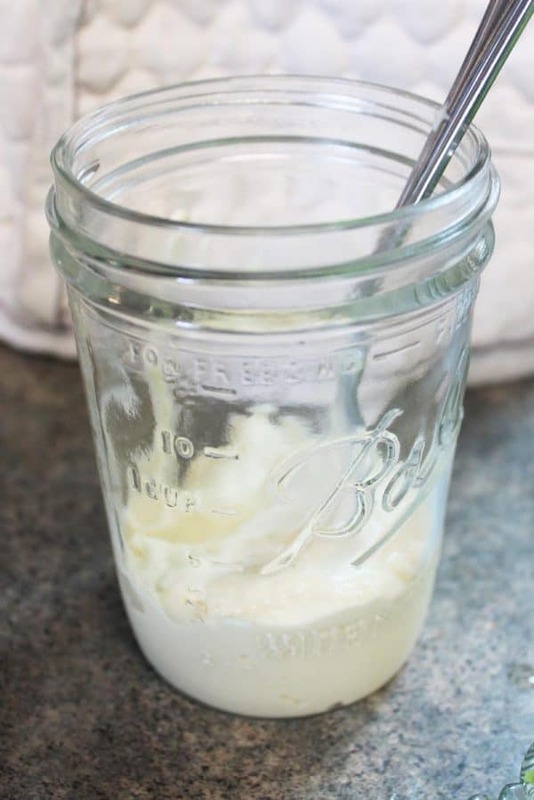 This can be stored in the refrigerator for about a week, assuming your yogurt or buttermilk isn't too old. Use this dressing to top just about any salad greens, from lettuce and arugula to kale. You can also use it for dipping raw celery and carrots, as well as fried vegetables or mushroom. I love using this instead of mayonnaise to make pasta salad.